Disney Cruise Line releases summer 2020 itineraries! The summer of 2020 is heating up on Disney Cruise Line, with some new options and many returning favorites! Disney Cruises to Alaska - new 2020 dates! Disney Cruises to Bahamas - new 2020 dates! Disney Cruises to Caribbean - new 2020 dates! Disney Cruises to Europe - new 2020 dates! Transatlantic Disney Cruises - new 2020 dates! Disney Cruises from Port Canaveral, FL (Bahamas/Caribbean) - new 2020 dates! 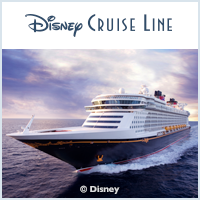 Disney Cruises from Barcelona, Spain - new 2020 dates! Disney Cruises from Civitavecchia (Rome), Italy - new 2020 dates! Disney Cruises from Copenhagen, Denmark - new 2020 dates! Disney Cruises from Dover, England - new 2020 dates! Disney Cruises from Miami FL- new 2020 dates! Disney Cruises from Vancouver, Canada - new 2020 dates!